By now you’ve likely heard there is evidence that harboring negative attitudes about aging and older adults is bad for your health. In fact, a 2016 World Values Survey found that 60 percent of its respondents felt that older people are not respected. More than 83,000 people in 57 countries took part in the survey, which assessed attitudes to older people across all age groups. Interestingly (and sadly), the lowest levels of respect were reported in high-income countries. This is just one of many sources that cite the presence of ageism and prejudice about older adults in our culture. And given that the demographic make-up of most of the world is becoming older and older, the impact of this kind of discrimination is destined to get worse, unless someone takes the lead in an effort to change it. Which is where we, as aging services professionals, come in. Why should we take the lead? Well, there’s the obvious reason: ageism impacts the health and wellbeing of older adults—which it’s our business to protect. Anticipating Public Thinking outlines how Americans mentally model aging and related issues, and it pinpoints where these patterns of thinking are likely to challenge efforts to advance an informed public conversation. Communication Traps cautions advocates against reframing strategies that seem plausible but are likely to have unintended consequences. 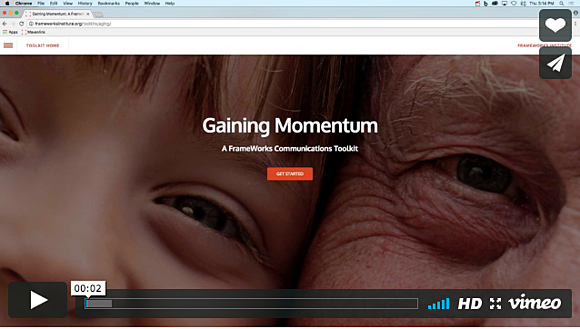 Redirections outlines a series of thoroughly tested communications tools and techniques for reframing aging and ageism. Moving Forward offers concluding thoughts and a call to action. The authors come to the conclusion that sharing and telling a common story is part of what it takes for a movement to drive major and meaningful social change. If you would like a focused approach to taking the lead on reframing aging, facilitated by experts in the field, contact Quantum Age today. 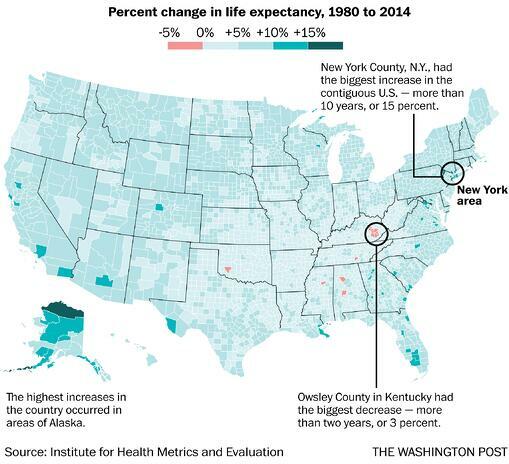 A Washington Post article about life expectancy in the United States caught my eye recently—not because it was about how people are living longer (in general, we are) but because there are several places in the country where life expectancy is reversing. In other words, as Reporter Joel Achenbach points out, in many pockets of the United States, life expectancy is more than 20 years lower. “Death rates are going conspicuously in the other direction,” he notes in the article, citing a recent study in the Journal of the American Medical Association. There are of course a number of reasons why this indicator is troubling, but as a disciple of the longevity economy, I find it particularly unsettling given the massive opportunities that aging services innovators have and continue to offer older adults and their families and loved ones. According to the JAMA study, “much of the variation in life expectancy among counties can be explained by a combination of socioeconomic and race/ethnicity factors, behavioral and metabolic risk factors, and health care factors.” Reversing the trend of increasing disparities may be helped by “policy action targeting socioeconomic factors and behavioral and metabolic risk factors,” the authors point out. In his article, Achenbach points to other research showing that the United States is failing to keep up with improvements in longevity seen in other affluent nations. “In 2013, researchers described what they called a ‘health advantage’ in the United States when compared to peer countries,” he writes, adding that more recent research has focused on “diseases of despair” that have contributed to a precipitous rise in death rates among midlife working-class whites. I appreciate that Achenbach calls attention to this issue. And although I am not an epidemiologist, it seems to me that with all of the shiny new technology and innovations coming from our beloved field there should be some fundamental steps we can take to include everyone in our journey toward longevity and leveling these disparities. That said, there are also plenty of opportunities for aging services entrepreneurs to take on this challenge with success. If you want a focused approach, facilitated by experts in the longevity economy, as well as honest feedback, contact Quantum Age today.